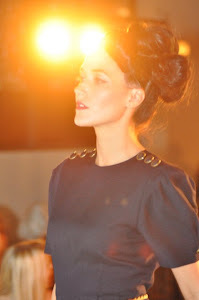 Fashion is not just the clothes you wear. Fashion is an art form in which you live your life. This is my creative outlet, my self-expression, my break in the monotony of the every day. Some people use paint, I use clothes. If you told me a year ago that it was possible to get all kinds of fab goodies for free, I probably would have given you the crazy eye and said "Yah, right!" But since December (if you can count you would know that 11 months), I have won all kinds of craziness! You say you don't believe me, huh? I will show you! The first win, the beginning of happiness, these babies told me that dreams really do come true, girls! 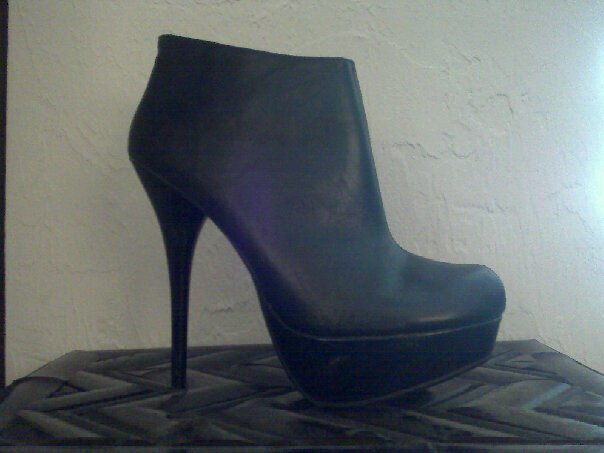 These are from Calzatura and the only thing I had to do was make a Christmas Wish List! Retail value: $70, but for me FREE. I am actually wearing them today! Wahoo! 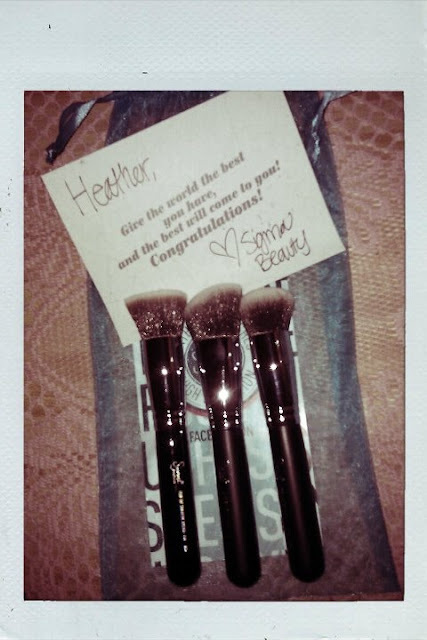 The third win was this lovely set of Sigma makeup brushes!!! Retail Value: $48, but FREE to me!!! All I had to do for these lovelies was let In Their Closet know what makeup item I wouldn't want to be stranded on a desert island without, guess what I said! Are you dying to know!? An eyelash curler, impressive, huh!? The fourth win was a $100 gift card to ModCloth, which I won on Fashiolista, just for clicking the "like button," sounds like a good deal to me. With my gift card, I decided to buy these very lovely "Cruise to Cape Cod" Jeffrey Campbell Shoes!!!!! 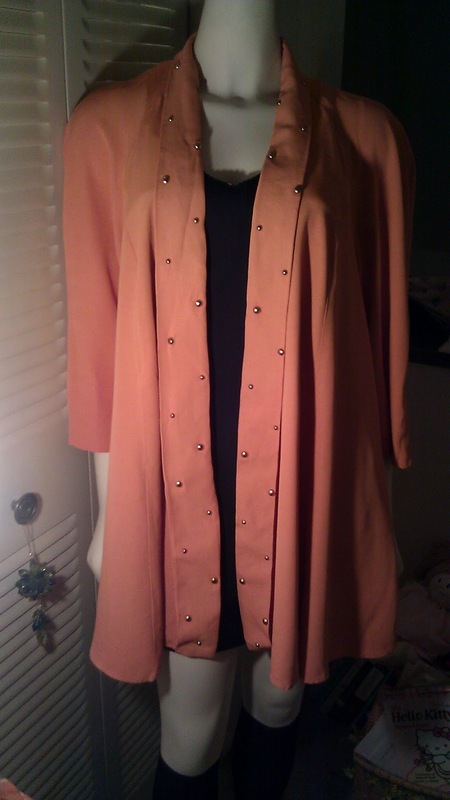 = FREE to me!!!! And now, as I have started my blog and received the newest of the wins in the mail, I have decided that everyone should be a winner. So, from now on, whenever I win, you, my dear reader, shall have a chance to win too. Keep reading! 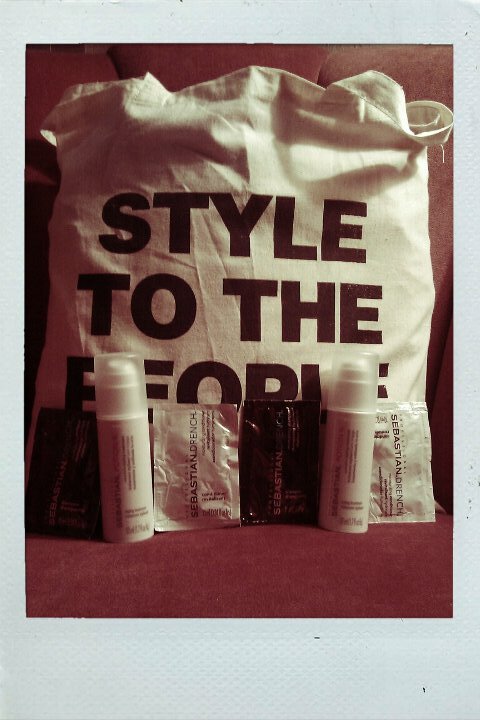 The newest of wins: I received this fab Stylecaster "Style To The People" bag with some sweet Sebastian products just for sending them a picture of my hairdo, pretty good deal, huh! FREE to me! And now for our featured presentation: A GIVEAWAY!!!!!!!!! One lucky reader will win this ring!!!!! Pretty cute, huh!?!? I bought this baby before it donned on me that it's better to give than receive, and also, I need another ring, like I need a hole in the head! 1) follow this blog via google reader!!! For those who are blogly challenged, look to the right of your screen, where it says "Followers," click on "Join this site." If you already have google reader, you will probably then click the "follow" button and then the "done" button. Your name should then be visable below. If you are new to google reader, click "Join this site," and then follow the directions. 2) follow me on twitter !!! Why would you want to do such a thing, you might say? Well, I post a ton of giveaways on twitter, so if you don't feel like hunting them down, follow my twitter and I will do all the work for you!!! Sounds like a good deal to me!!!! 3) leave a comment below telling me you followed the directions and leave your twitter handle if it is under a different name than your Google Reader Account. Remember folks, I'm a shopaholic, not a detective! There you have it, it's as easy as 1-2-3!!!!!! 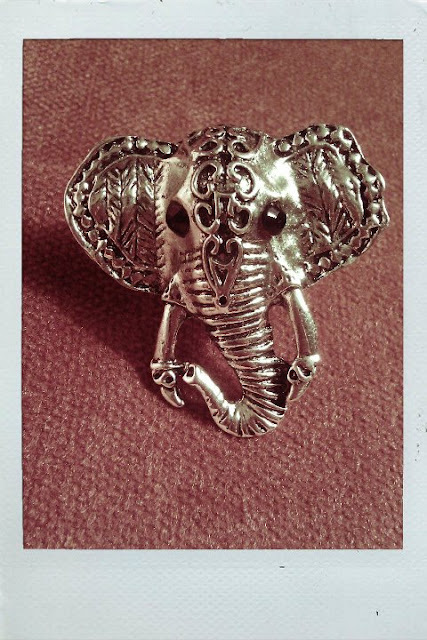 One lucky winner will win the Elegant Elephant Ring!!! Hoody Hoo!!!!! Entries will no longer be accepted past midnight on November 8th! And P.S. I have won yet another giveaway, so that means that you will have a chance to win too.....stay tuned!!!! Heather!! Look at you winning all this free swag!! I saw your black swan and it was sooo good! I really loved doing the make-up! See you soon and thanks for the Calzatura shout-out!! #nowfollowing your blog, thought i already was. not a huge ring wearer, so not trying to win, but it is gorgeous love! so i RTed you. You are so lucky! I like the booties a lot! Lucky you! Visit LIFO. 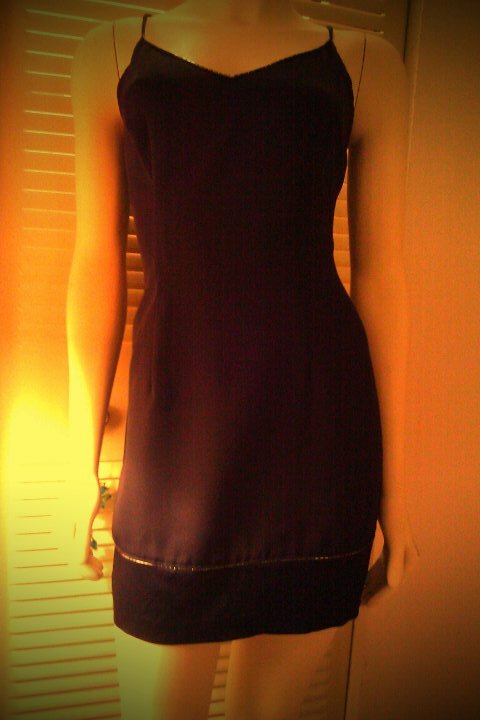 It is a fun site for girls that has a virtual closet feature which allows you to upload your own personal closet and create outfits you can share with friends. Love your wins! I joined your site and follow you on twitter: @jacagroff. Heey thank you for your comment.. like your blog,too. You never really fail to surprise me with your style. I love it! You really had it in you. Don;t forget to visit LIFO. It is an online hub for girls that let them have their own virtual closet, read and write about the latest fashion, beauty and celebrity trends. Great posts!.. We love them all! Amazing! Wow you are so lucky, great wins! 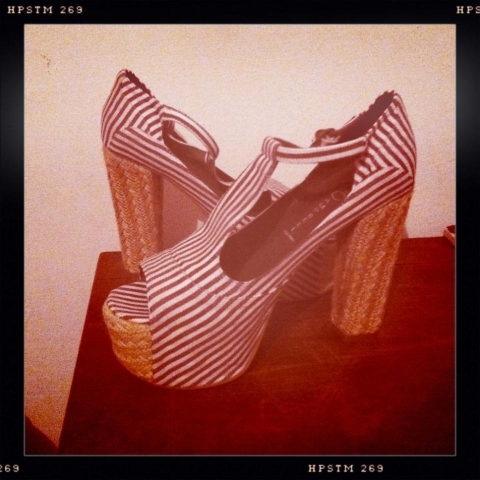 In love with this pair of Jeffrey Campbell! Get out your Scissors Girls, it's a DIY!